Everything you need to run practice. A great gift for any coach or just for a team to have all the necessary practice equipment. 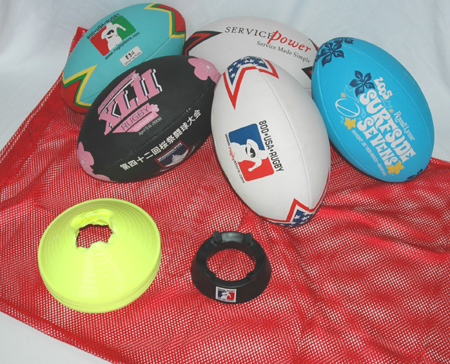 This pack includes five practice balls, a ball bag to carry them in, kicking tee and 12 9" cones for drills, drills, drills.